Not a lot to report. 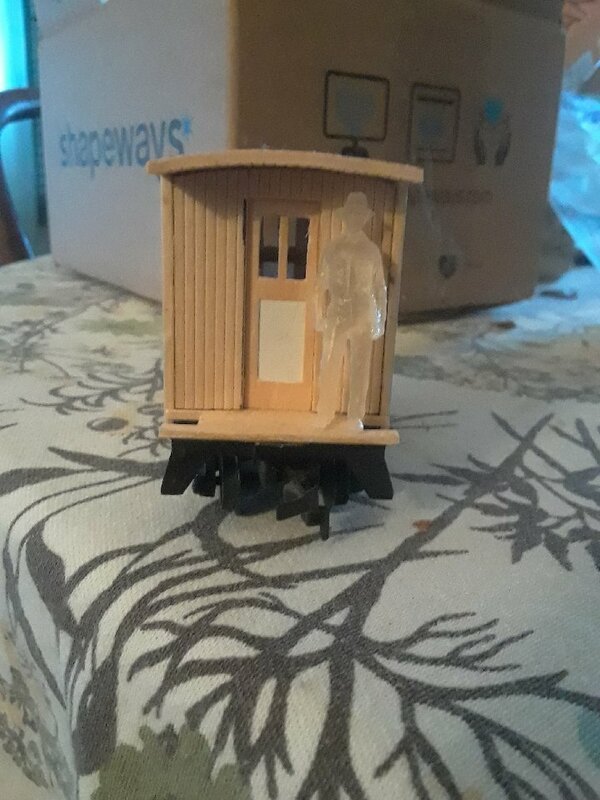 I am slowly assembling my baggage car and that is going well. I've got two side walls nearly done. The end walls are cut to size. Just need a moment of peace and quiet to complete this car model. 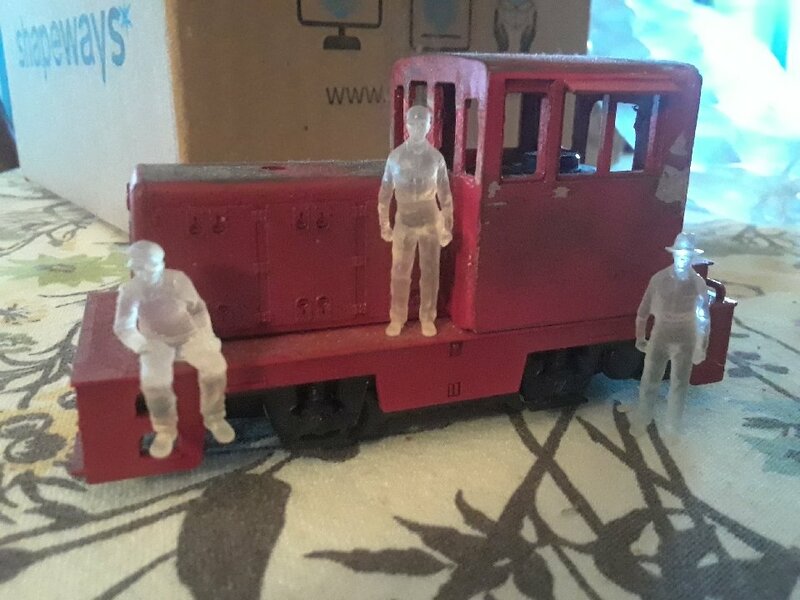 I think I could make a loco sort of like that with one of these old Pocher brand bowker locos. In my version I would simply cut off that gold jewelry on the top of the boiler and move the bell there. Then I would raise the cab a bit for the bigger scale I am doing. Some paint and it would be perfect. I actually like the obnoxious large smoke stack, it just screams 1890's. 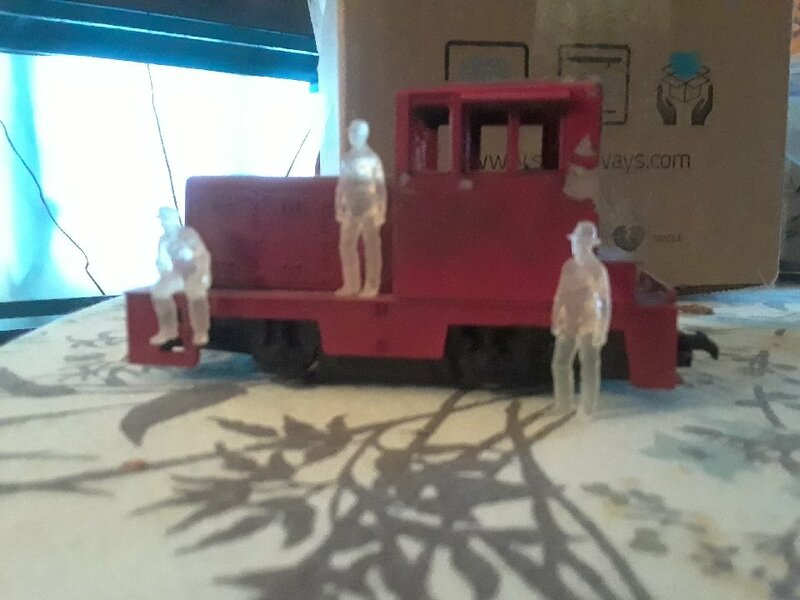 I had a seller reduce some figures from O scale to 1/55th. Had to purchase them, as I really needed to see how my models stood up to actual people. 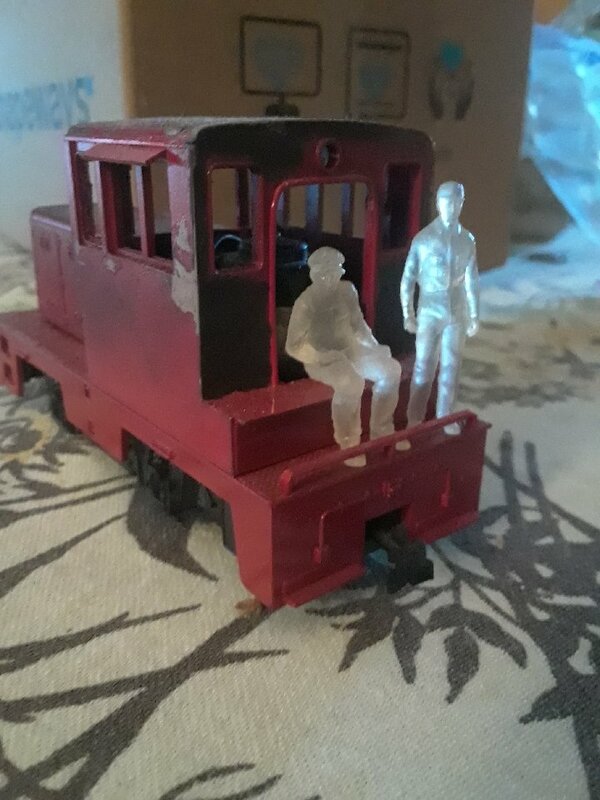 I can now say that I am very much into this 5.5mm USA prototype 3' gauge modeling. Spring is here too. 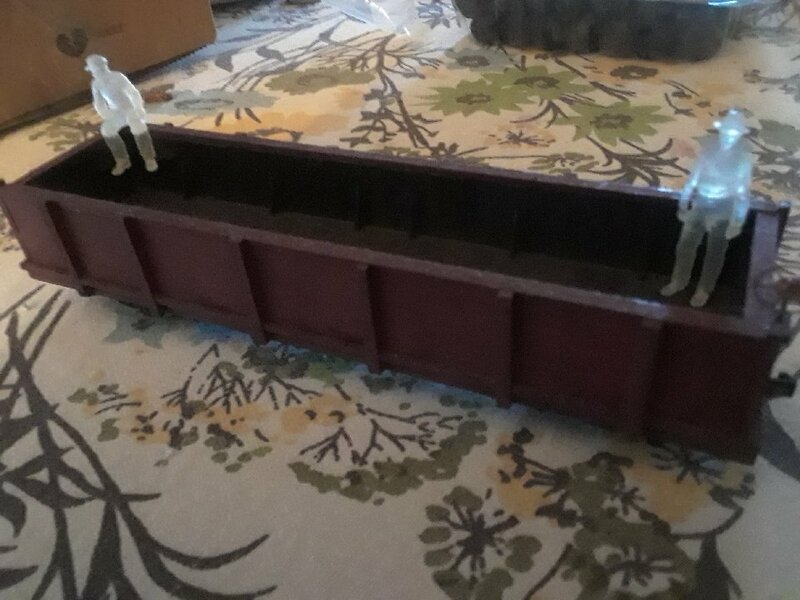 Was eyeing ye olde garden railway and considering a new track arrangement so I can run my new models. yeah, I will need to make them visible. My favorite paint for doing figures is Humbrol. It brushes on nice and thick and often only needs one coat. I can't seem to source it locally anymore. ..My favorite paint for doing figures is Humbrol. It brushes on nice and thick and often only needs one coat. I can't seem to source it locally anymore. And then when you find somewhere that sells it there's often the problem that they can't send it via the postal system! Amazing that a little 15ml tin of enamel paint can be considered hazardous by some carriers. Nice figures by the way Griff - they look well at home against the engine. I keep trawling the Denver Public lLbrary digital collection. My focus is Gilpin County and the Gilpin Tramway. This image caught my eye. It is just so vertical and full of little stone retaining walls. Use the zoom bar and then grab the photo to explore it more closely.